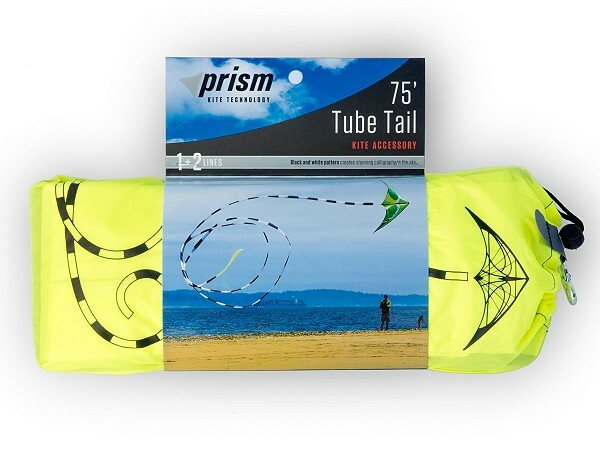 These 75 foot Tube Tails from Prism are a great addition to Stunt Kites with a wingspan over 5 feet. Attach to the bottom of the spine for a mesmerizing flowing effect. 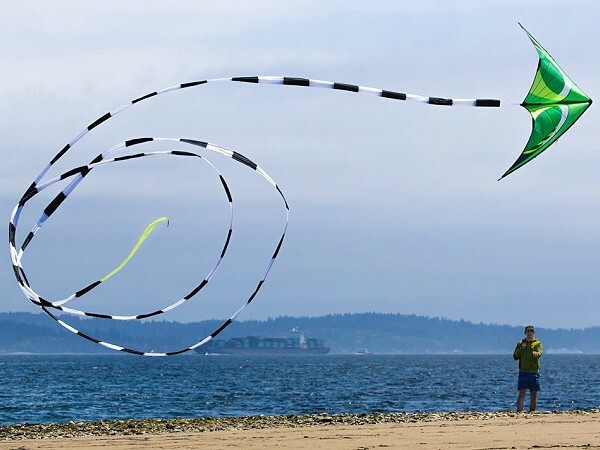 The tails can also be used on single line kites and telescopic poles. Comes in a neat stuff sack. Tails are Black & White with Yellow tip.